I recently discovered Innovation – a world-renowned sofa bed specialist that offer a wide-range of stylish furniture designs that are made to last. I’ve grown to learn through the years that quality has to come with style. When I went to visit Design Pod located at the 4th level of SM Megamall last week, I cannot help but admire and love Innovations, a Danish brand of sofa beds. One that caught my eye was this Fraction Sofa Bed. (photo above) Innovation is an international renowned brand sofa bed specialist since 1971, it has since has grown considerable following as is what’s inevitable with great quality brands. 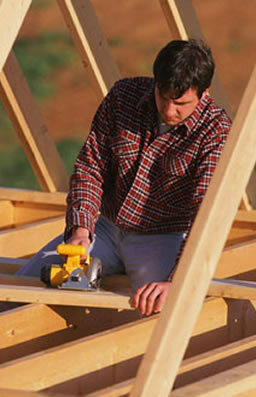 Innovation prides itself with topnotch aesthetic design that goes with great functionality and comfort. 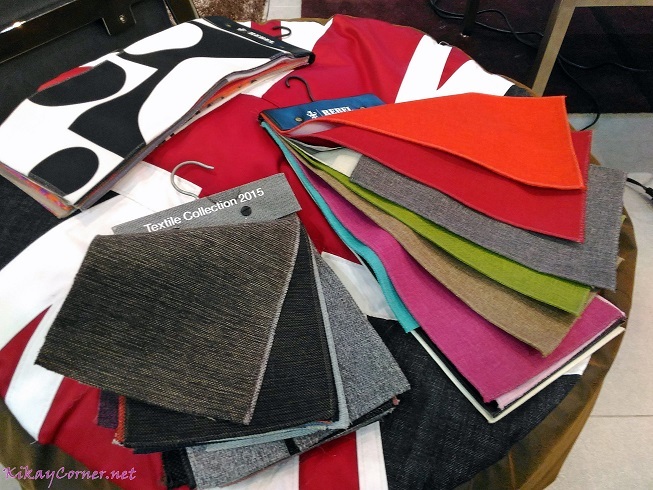 Innovation has over 60 kinds of fabrics that their customers can choose from. I’ve been a longtime believer of quality and durability. My family must’ve gotten this streak in me through the years that they have embraced it like a household cult as well. From the pricier beauty gadget over the cheap-o imitation, to the more expensive clothespin clothes dryer carousel made of metal to the generic made of plastic one, to our well-loved durable but affordable Uratex mattress. Purchasing durable and reliable brands will always give me more value for my money – something I have always believed and have proved true to this day. 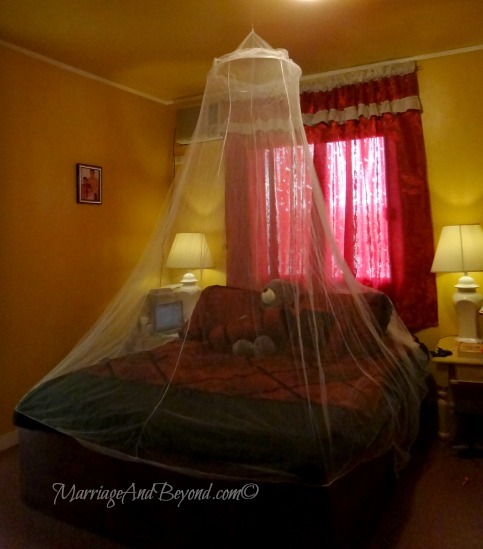 I don’t have to go far, let alone step out of our bedroom to prove this. Take for instance our almost 10 year old mattress. If you remember the Typhoon Ondoy flooding in 2009, you will know that one of the badly hit areas is Rizal. Well, we are from Rizal. We were ready to get rid of our Sleep Comfort Memory Foam Mattress in the above photo as the hubby was carrying it out of the house as we did the house clean up that took three long months! 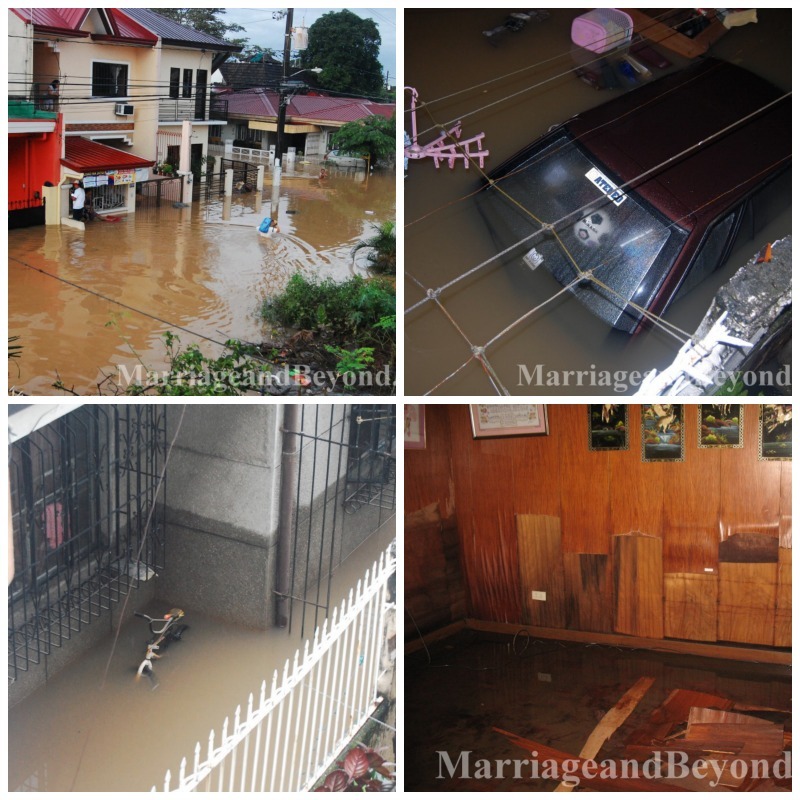 To give you a glimpse of how bad our home was hit during that time, check out one of my Typhoon Ondoy posts – here. 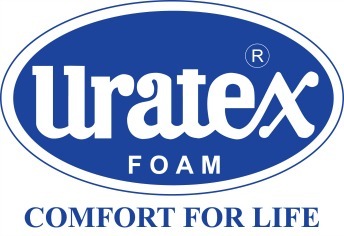 I wouldn’t have guessed that our Uratex mattress would still see the light of day after this. I was ready to give it away to people who passed by our street to find junk they can still make use of. Imagine my delight after we had it sit under the sun for days, thoroughly cleaned and disinfected that it was as if flood waters never touched it. My son’s other branded bed was not as lucky. We gave both bed box and bed to the first passerby who expressed interest. It was a blessing that our bed box was all wood, it practically floated, was pretty tall that the flood waters only touched the surface of the mattress that made it damp. As I tried to make sense of how on earth can a mattress survive the stink and horrendous devastation that is Ondoy, I realized that our Sleep Comfort Memory Mattress has been treated with Sanitized® to protect us and our mattress against germs, bacteria, dust mites, fungi, and unpleasant odors. Sweet! That explains why our bed has not deteriorated in its quality. 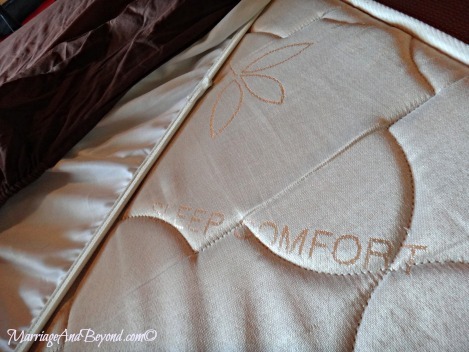 Truth be told, my foremost reason for choosing the Sleep Comfort Memory Mattress was because of my bad back that had to see a chiropractor for years. It didn’t just address my bad back (I’ve been able to sleep comfortably since) but my preference for durability and reliability too.